The Neck Pouch range offers simple travel security in a hightech package. 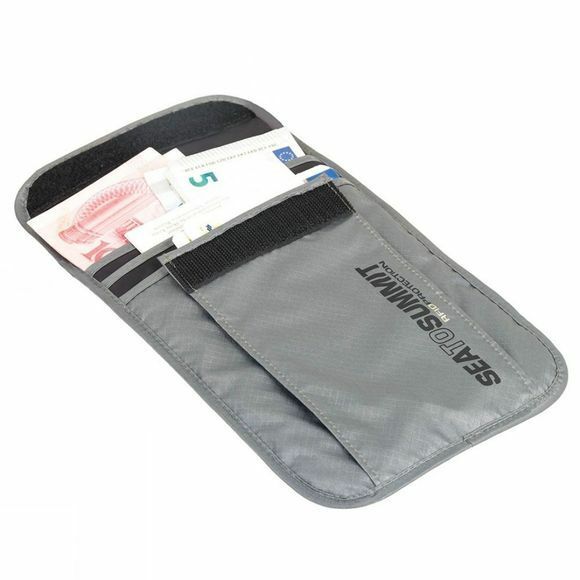 With two or three pocket options the Neck Pouch is ideal for keeping a passport and spare cash secure. They are constructed from Ultra-Sil fabric for lightweight durability and lined with RFID-proof fabric to protect against the dangers of digital theft. 3D air-mesh on the back keeps the product comfortable against your skin. The neck pouch RFID is a great size for passports and a couple of credit cards.